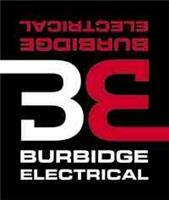 Burbidge Electrical Contractors - Alarms/Security, Electrician based in Winsley, Wiltshire. Are you looking for electricians in the Bath area? Whether it’s a new socket or a full re-wire, we can help. Burbidge Electrical will go to great lengths to ensure you won't have to worry about a thing, from the design stage through to the completion. A family business, at Burbidge Electrical we look after your interests and take care of your needs. Your project is our priority, we are dedicated to giving you the very best customer service and quality workmanship. So if you are looking for qualified, reliable and friendly electricians in the Bath area at a great price, contact Burbidge Electrical today!